We have painfully hard water. It causes all sorts of problems; hard water mineral deposits on our glass shower doors, bath toys, drinking glasses . . . need I go on? As if that wasn't enough, our hard water has made it difficult to find a homemade dishwasher detergent recipe that works. Finally, after too many dishwasher loads to count, I've finally come up with a winning recipe I can 'hard'ly keep to myself. he he. Borax: Borax is a naturally occurring mineral, found deep in the ground. It disinfects, helps rinse food off the dishes, and softens the water. I found Borax at Walmart in the laundry aisle. Washing Soda: Washing soda is similar to baking soda, but it's more caustic for extra cleaning power. It's an awesome water softener and it cuts grease. I found Arm & Hammer Washing Soda at Walmart in the laundry aisle. Kosher Salt: Kosher salt softens hard water. I can see a difference in the cleanliness of my dishes when I use kosher salt. You can find it with the other salt at the grocery store. Citric Acid: Citric acid is a natural acid that is found in many fruits. It is an important ingredient if you have hard water. It removes hard water film and buildup from your dishes and the internal components of your dishwasher. You can find citric acid at your local health food store, Amazon, or Mountain Rose Herbs. STORE THE CITRIC ACID IN ITS OWN CONTAINER. Mix borax, washing soda, and kosher salt together and store in a separate container. If you mix citric acid with the other ingredients, the detergent will harden and you will find yourself chipping away at it with a knife and cursing the day you ever made homemade dishwasher detergent. I'm talking from experience. **Update 06/12: The reason citric acid makes the detergent harden is because it has water in it. I noticed Mountain Rose Herbs sells anhydrous citric acid. Anhydrous means without water so I bet anhydrous citric acid can be mixed with the borax, washing soda, kosher salt mixture without hardening. I'll let you know once I try it. **Update 07/12: I made a batch and mixed in Mountain Rose Herb's anhydrous citric acid, but it still hardened. Bummer! It does do a nice job of rinsing my dishes clean and keeping the silverware shiny. After I realized the detergent was hardening, I left it out on the counter without a lid for a few days and stirred it every so often like some commenters suggested. This did help prevent clumping, but I wasn't able to stir the bottom of the mixture very well because of the size of the container. So the top of the mixture is fine, while the bottom is hard as a rock. Next time I'll keep it in a big bowl without a lid so I can easily stir it for a few days. Then I'll transfer it to my glass jar and see what happens. Some people like to add dish soap or castile soap to their recipe. I tried Dawn, Palmolive, grated castile soap, liquid castile soap and a natural dish soap, but they all left a powdery film, even when using vinegar to rinse. Since borax is a natural disinfectant, I don't feel like the recipe needs soap. Combine borax, washing soda, and kosher salt. Keep citric acid separate. Use 1 teaspoon citric acid and 1 tablespoon borax/washing soda/kosher salt mixture per load. This recipe makes enough for 39 loads. A lot of homemade dishwasher detergent recipes suggest putting vinegar in the rinse aid compartment to prevent a powdery film from covering the dishes. I haven't had to do that with this recipe, which I'm happy about since my husband makes a big fuss every time he smells vinegar. Combine borax and washing soda. Keep citric acid separate. Use 1/4 teaspoon citric acid and 1 teaspoon borax/washing soda mixture. This makes enough for 80 loads. 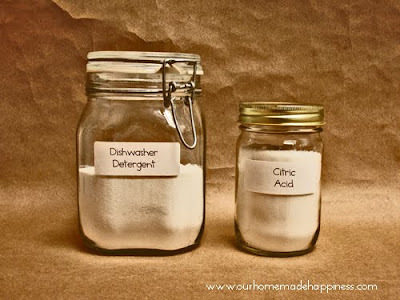 You don't need to use as much soap/detergent with soft water. Wish I had me a water softener! This recipe is a starting off point to find your own recipe that works with your water. Add more detergent per load if your dishes aren't getting clean or more citric acid if you notice a powdery film left on the dishes or try the troubleshooting tips below. Before starting the load, turn on the kitchen faucet until the water gets really hot. Hot water from the faucet=hot water in the dishwasher=cleaner dishes. Use the air dry option instead of heat dry. My silverware always looks shinier after using the air dry option. Put dishwasher detergent in the pre-cycle compartment and your citric acid in the wash cycle compartment. The detergent and the citric acid work better when used separately. Adjust the recipe to find what works with your water. You may need to add more detergent or more citric acid. If you are getting a powdery film on your dishes, put vinegar in the rinse aid compartment. I haven't needed to do this, but everyone's water is different. If this doesn't work, try the next tips. Put 1/4-1/2 cup vinegar in a right-side-up bowl before you start the load. Once it fills up with water during the cycle, the vinegar will slowly spill out and help rinse the dishes. Put 1/4-1/2 cup of vinegar in the bottom of the dishwasher before the load starts. After the load is finished, start an extra rinse cycle and throw in 1/4-1/2 cup of vinegar. Try this tip as a last resort since it uses extra water. $0.27 - 1 c. Borax, $3.38/76 oz. $0.59 - 1 c. Washing Soda, $3.24/55 oz. $0.16 - 1/2 c. Kosher Salt, $1.68/48 oz. Ecover, a so-called "natural" dishwasher detergent, costs $0.16/load on Amazon. I say "so-called" because it's still full of chemicals I don't want on my dishes. Yay for saving money and knowing exactly what is in my dishwasher detergent! Read Crunchy Betty's post about how everything was okay when her 1-year-old niece ate some homemade dishwasher detergent made with the same ingredients as my recipe. Still, keep it out of children's reach. I have not seen this recipe before, I am excited to try this! I have tried a few other versions which have not worked (mostly I think because of the hard water) thank you for sharing, now following! What a lovely recipe, thank you so much for sharing! I love being able to make as many cleaners as I can. I found this post at a great time! We just moved and I finally have a dishwasher! I knew I'd need to look for a homemade recipe soon, but you've just solved that by posting this! Thank you! I use this exact same recipe! It works well, doesn't it? I do mix the citric acid in, then add uncooked white rice to it and it soaks up any moisture so the detergent doesn't harden! I had the same problem as you at first, I was chipping away at the rock of detergent and cursing! Hi Sara, My recipe has 1/2 pound of citric acid, instead of 1/2 cup like the recipe you used. Other than that, they are similar. My recipe uses almost double the citric acid that yours does. I don't need to use vinegar in the rinse aid compartment with my recipe, which I like since my husband loathes the smell of vinegar. I tried putting rice in my first batch of homemade detergent, but it didn't keep it from hardening. Maybe I needed to add more. I didn't like putting uncooked rice in my dishwasher though. I was worried it wasn't good for it. Thanks for your comments! Thanks for the great idea Teth! how about adding rice in a cheesecloth bag to the bottom of the container? that could help with the moisture problem. I am going to make some of this just as soon as I get some Borax. Our Walmart was out of it. guess more people are going to making their own laundry detergent and dishwasher detergent!! If I had the hard water I would make my own scale preventer as shown in the pdf above. (VERY interesting reading....bear with them....you get to the DIY part)......See here: http://www.elcla.it/scale-preventer-products.htm for the inline magnetic de-scalers as described in the pdf. (I have just recently emailed them to find a US distributor.) It involves simply installing a tiny inline magnet for the water to flow through. You can put one anywhere.....line to dishwasher....line to washing machine....etc. etc. I do not have one of these nor do I work for these companies....I don't even know anyone at the companies. When I was just recently reading about the magnetic de-scalers I went on a search for them and found this to be an extremely affordable solution. And one that doesn't involve chemicals compromising with your water purity. Interestingly, the magnetic procedure has been used - very effectively - since the 1930's. Alas, it probably doesn't make chemical manufacturers a lot of money hence the low profile it has been given. As always, I usually find the simplest solution is usually the best, cheapest, and most healthy. Goodness....I almost wish I had hard water so I could install an inline magnet to try it out! And not have to worry about it ever again....well, for you hard water sufferers out there.....I'm sure it would be wonderful. Thanks for the info Babsy! I'll have to check it out. Wow this looks fantastic! 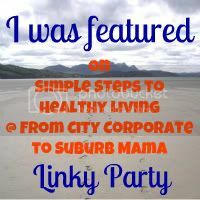 Im pinning it and consider myself your newest follower- you have lots of great tips here! Thanks! Can you use baking soda instead of washing soda? oh I just read why you use washing soda instead...but just curious if anyone has tried baking soda instead and seen similar results? The reason I'm asking is I have a huge container of baking soda mixed with salt that I need to make use of. I mixed it as a natural flee carpet cleaner but ended up not needing it. You made my day! I'm doing this!!! Awesome idea! We don't have a dishwasher but I'm 100% in favour of home-made cleaners. Better for people, the environment and the budget! 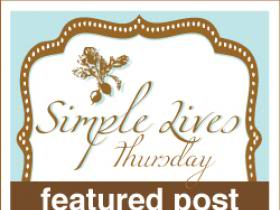 I have been looking for a recipe for homemade dishwasher detergent. Thank you so much for sharing, I'm excited to try this. One way to prevent the clumping is to leave the container open for a bit and just stir it every few hours (after you mix in all the ingredients). I did this with my first batch, and it worked just fine. I also use the brand LemiShine (find it at Target, Wal-mart, grocery stores), in place of the citric acid, because another recipe I found said it was an okay substitute if one could not find the citric acid, or want to pay the higher price for it. LemiShine was also recommended to me by our local Maytag guy to help remove the calcium built up in our dishwasher, since we have very hard water, so I already had it on hand. I use 1/2 cup of the LemiShine in my batches. I am currently trying to make the powder into blocks by using an old (clean) ice cube tray, and since I just recently finished off a bottle of LemiShine, I decided to pour the remainder of my batch back into the empty bottle. It has a flip top lid, so it will be easy to dispense the detergent into the cup in my machine, with out having to use a measuring spoon (I hope!!). I left a bit out (I keep string that), so that I have room to shake it, and will eventually fill the bottle full once the powder no longer clumps. Hope this helps! Thanks for your tips Rebecca! I made a batch recently and let it sit out and stirred it every so often like you suggested. It worked for the top half but I wasn't able to stir the bottom half very well because of the size of the container. Next time I'll put it in a bigger container. LemiShine is a great option since it is citric acid. For me, LemiShine is more expensive than buying citric acid on Amazon or Mountain Rose Herbs at $20/5 pounds. LemiShine comes in a 12 oz. container so it would need to cost $3 or less to make it more cost effective. At my grocery store, it costs almost $3.75. I'll have to see if any stores sell LemiShine cheaper. Thanks for sharing your great ideas! You can also use a couple of packets of lemon kool-aid. Only the lemon works and the small unsweetened packets! How did you do making little blocks in the ice cube tray? I was thinking about trying it that way too. Did you mean to say a teaspoon of salt per load? No, I meant mix the Borax, washing soda, and salt together. Then use 1 tablespoon of that mixture. I reworded the directions in my post, so hopefully it makes more sense. Thanks! I was wondering if sea salt can be used? I suggest kosher salt over sea salt. Hard water is a problem because it contains more minerals than soft water, especially magnesium and calcium. Sea salt contains magnesium and calcium, which is not what you want to be adding to your water. I read that kosher salt doesn't contain any minerals so it's the better choice. Hello. I am excited to try this, but can't seem to find citric acid. Any ideas? If you find Lemi-Shine at the store, you can use that. It's sold in the dishwasher detergent section. It's citric acid with essential oils (at least that's the word on the street.) I've bought citric acid from Sprouts, a health food store, in the bulk spice section for $7/pound. I've also bought a 5 pound bag on Amazon and on Mountain Rose Herbs website, each for $20. I've even heard of people using Kool-Aid lemonade packets because those contain citric acid. Easy to find, but I think you'll end up paying more if you go that route. Good luck! Thanks so much! 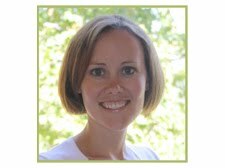 I love your healthy info....it is inspiring! I found citric acid in my local grocery store in the canning section. I have found putting those silicone pack inmy homemade dishwasher soap stoped the clumping and hardening of the citric acid. I keep my derternent in air tight container too. You can find those silicone packets in everyhting you buy...shoes, purses, medication powers, and so much more! Brilliant! I can't wait to try it out! Thanks for sharing April! Hello. 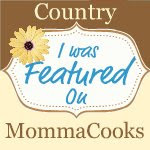 I recently found your site and have been excited to try the recipes. I made this one and then have been looking into borax a little bit more....do you have any concerns regarding borax and it being safe around food? I know it is not being eaten in this recipe, but I am sure there is some residue on the dishes and I was reading how it could be quite toxic. Any thoughts? I feel comfortable using it in my dishwasher. 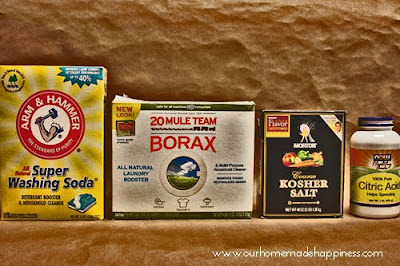 Borax can't be any worse than all the chemicals in commercial dishwasher detergent. Thanks for stopping by! Any way to Un-harden once it has hardened.I just made my first batch today and it is hard as a rock. I got my recipe from another forum and it said "clumping" so I wasn't to worried about it. I did see clumping but then I went to the store to get a container and by time I got back it was one big block. The only way I know of is using a knife to break it apart. That's crazy how fast it hardened! 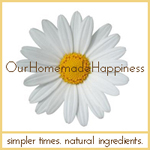 Just found you site looking for homemade dishwashing soap. I appreciate the time you have taken to account for different water types and to break down the cost. I am a huge Tightwad Gazette Fan and this was her method. Washing soda and citric acid should be safe for your septic tank. I'm not sure about the Borax. I've read articles and comments (from people with septic tanks) saying borax is safe for septic tanks and they haven't had problems using it. On the Borax box, it says it's harmless to septic tanks. But I've also read comments from people that have used Borax and had problems with their septic tank. So I'm not sure. Wish I could be more help! Our repairman said DO NOT use liquid soap. It dries and clogs the lines. Just look at the lid around the soap despenser itself. You have to chip the caked soap off it. Little square like what you buy at the store? I've never tried it, but that sounds like a great idea!! If you try it, let us know if it works! For the soft water directions, you put "Combine borax, washing soda, and kosher salt. " But Kosher salt was not part of the recipe. Is this a typo? I guess you'd only need borax and washing soda for soft water, right? You're right! Thanks for catching that typo! this is great!! Thanks for sharing it!! Visiting from the blog hop! Thank you so much. I have a container full of rock hard homemade dishwasher detergent under the sink. Thanks for explaining why it is that way and what to do differently next time! I appreciate all the problem solving tips too. My husband and I will have a grey water system when we move in a couple of years, and I've been wondering how to 'clean up our act' regarding dishwasher detergent. This should work nicely. What about making the dishwasher detergent into a liquid?? This would eliminate the caking problem. I can't think of any chemical reaction that might occur in the liquid form verses the dry form so it should work just fine. I may give it a try. 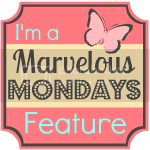 Visit my blog to grab your featured blogger button. I've heard mixed results about how well this works. Maybe I'll try it with this recipe. Does it have to be Kosher salt, or can you use a different type of salt? Hey Kendra! I have recently been informed (although it was released to the news in Jan 2011) that Borax is indeed toxic and harms reproductive systems, according to the EWG - http://www.ewg.org/guides/cleaners/2507-20MuleTeamBoraxNaturalLaundryBoosterMultiPurposeHouseholdCleaner. Have you gotten comments like that on this recipe? I've gotten quite a few of them recently on mine that's very similar to your recipe. Did anyone try the ice cube tray idea? I was wondering how that worked out. Were you able to get the blocks out of the tray? What is it with men complaining about the vinegar smell? My husband is the same:-) I have a lemon tree so as I juice the lemons and freeze the juice I save the rinds, cut them up into smaller pieces and stuff the rinds into quart jars and fill with vinegar. After a few weeks of steeping in the lemon rinds it does cut some of the vinegar smell. Last year I planted a grapefruit and orange tree, looking forward to having orange and grapefruit vinegar! Recently moved into our new house. We have well water. It does go through a whole house filter, iron out system and a softener. I have been trying different recipes for almost two months and nothing is working. Dishes are getting clean but glasses and clear glass bowls are looking cloudy, dingy, etc. I use vinegar in the rinse aid compartment but might need add more. Help. Thanks so much for the explanation of why my recipe clumped! I will revise my method and separate the citric acid. Keep it coming and I will share my results. I live in the Mountains of PA and have super hard well water. To solve the clumping problem, even once it is clumped is to put a cheesecloth or sock filled with rice in the container. The rice draws out the moisture. No more clumping! I like that you offer a hard water version of this recipe. We have tried other combinations, but either get film and/or the dishes don't come clean because we have very hard water. I will have to try some of your suggestions with vingear - like the vingegar-filled bowl - that's a great idea! I don't. Sorry! Are your storage containers glass or plastic? I'd recommend using glass. Citric Acid is sold in the canning aisle of most grocery stores and hardware stores for canning tomatoes...is that not the same thing? It seems like people are having a hard time finding it...? I have very had well water and this is by far the best thing I've used in my automatic dishwasher! I did use LemiShine in place of the citric acid since I already had some on hand, and there was still some rinse aid in the receptacle, so we'll see how it works when that runs out. I wish there was a way to wash clothes with just plants or some other naturally occurring substance. You know, the same way that certain herbs are used to clean teeth, or salt can be used to clean surfaces in the home. I like the fact that most of this is natural. Although the recipe you have suggested is homemade, I would still prefer to avoid the washing soda altogether. I am not saying that natural substances cannot irritate the skin but at least you would have fewer ingredients to contend with. I just made this recipe this week and so far it's working with our hard water. Just wanted to pass on a tip for helping the citric acid not harden up when mixed with the other ingredients. I save those little "do not eat" packets that come in pill bottles and shoe boxes and new purses, etc, to keep those products dry. I mixed several (unopened!) packets in with the detergent and it doesn't harden! I do the same with my homemade laundry detergent that uses citric acid and it doesn't harden either. I've reused the same packets for months now and they're still doing a great job. I just made this recipe and used it last night. Oh my gawd, it works so well with our hard water that I will no longer have to hand wash my dishes, I can actually use the dishwasher!! !